The strength of emission is given off and controlled through the inner panel, which is painted white specifically for that reason, and also the shape. 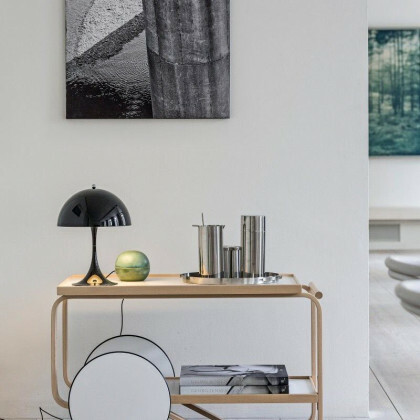 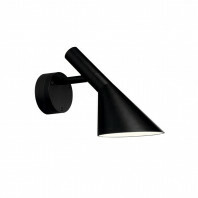 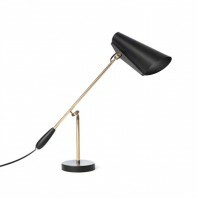 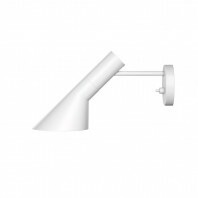 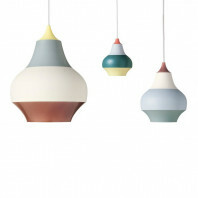 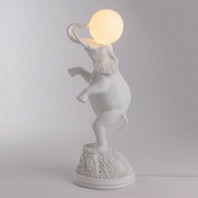 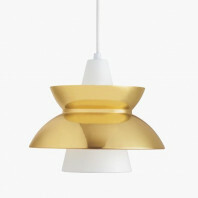 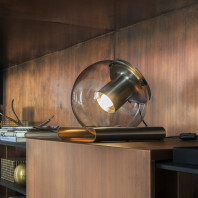 The lamp is a trumpet shape, which is not only unique in design, but is a modern take on a traditional product. 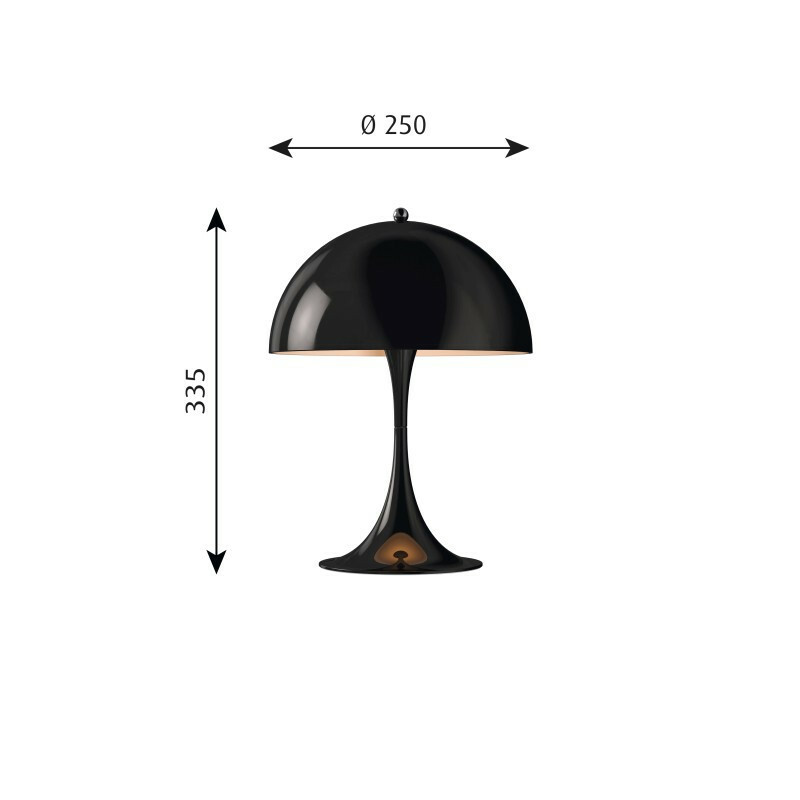 The lamp gives off a direct downward reflection, which is not only great for a desk, but a nightstand, because of its ability to concentrate the light so that it is not too overpowering throughout the room. 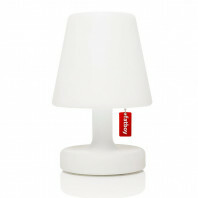 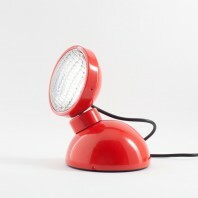 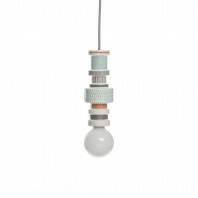 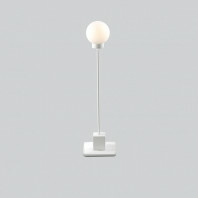 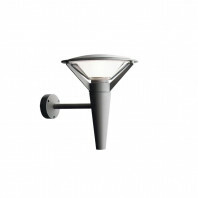 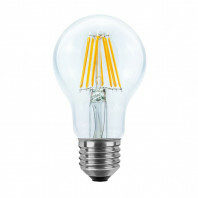 The mini table light is available in eleven different colors, to best fit your theme or design. The lamp comes in black, blue, orange, pink, red, violet, white, yellow, yellow/green, and white opal. 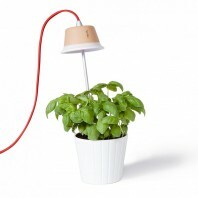 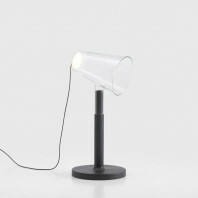 The lamp uses a plastic cord of four meters, which makes it possible to find the outlet you need and yet still be able to place the lamp where you want or need it. There are three different light levels when it comes to emission. 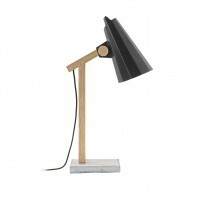 This is also great for those using it as a nightstand. 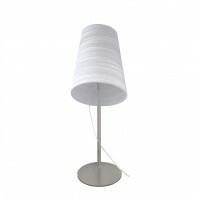 To not only set the mood when you are ready to go to bed, but also to adjust the light based on the time of day. 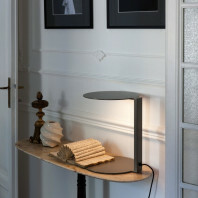 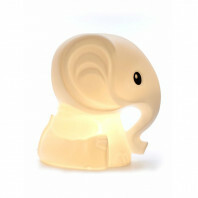 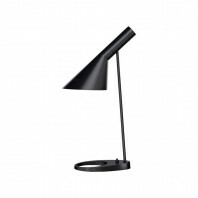 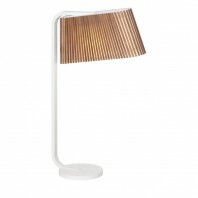 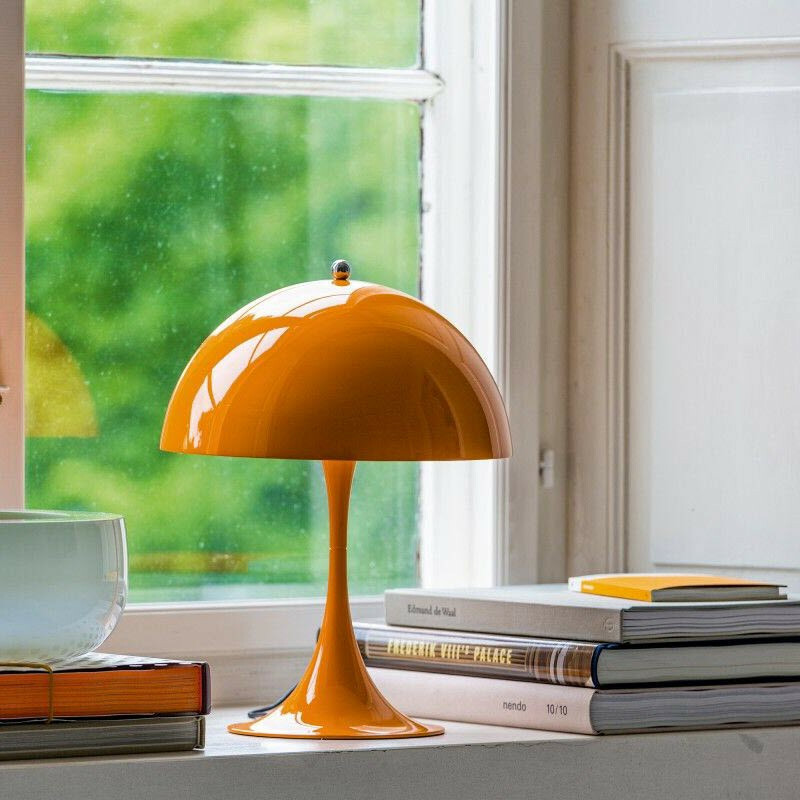 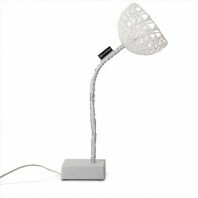 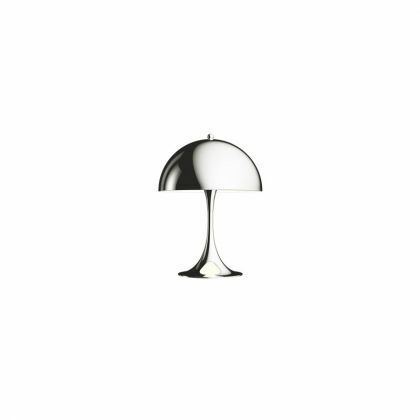 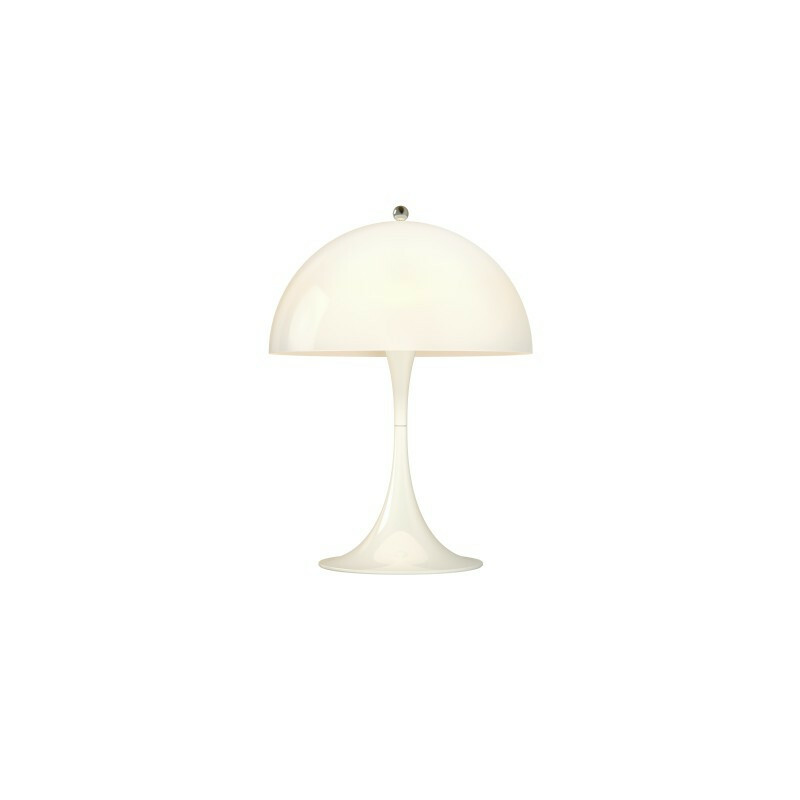 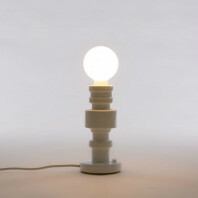 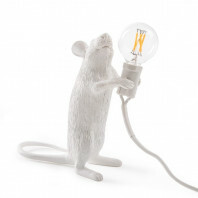 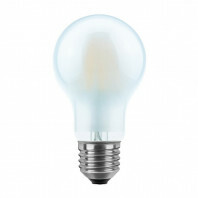 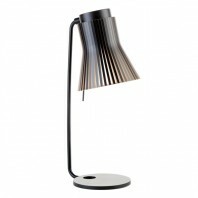 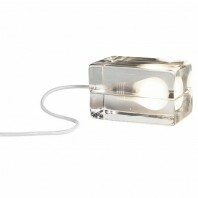 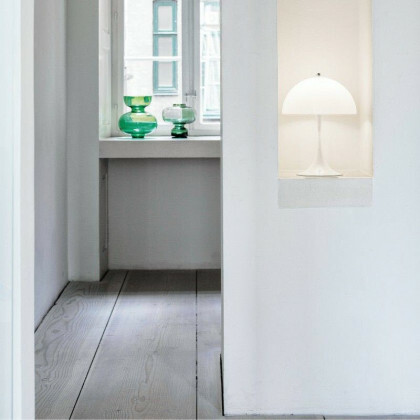 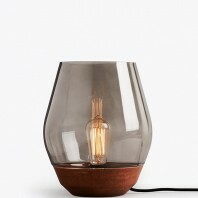 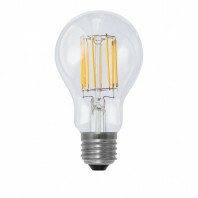 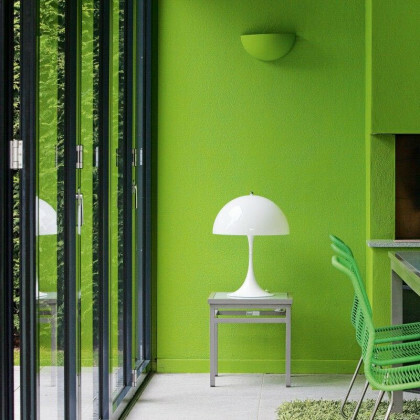 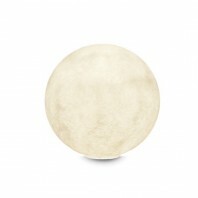 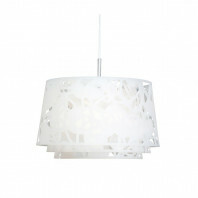 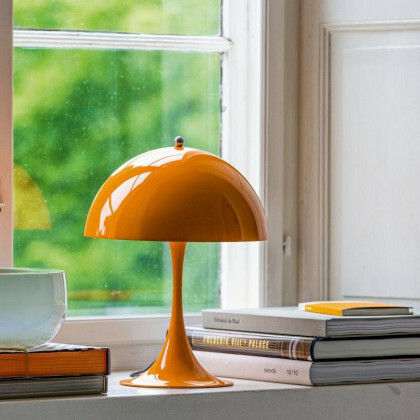 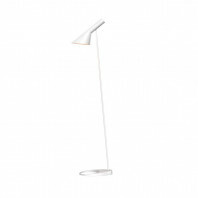 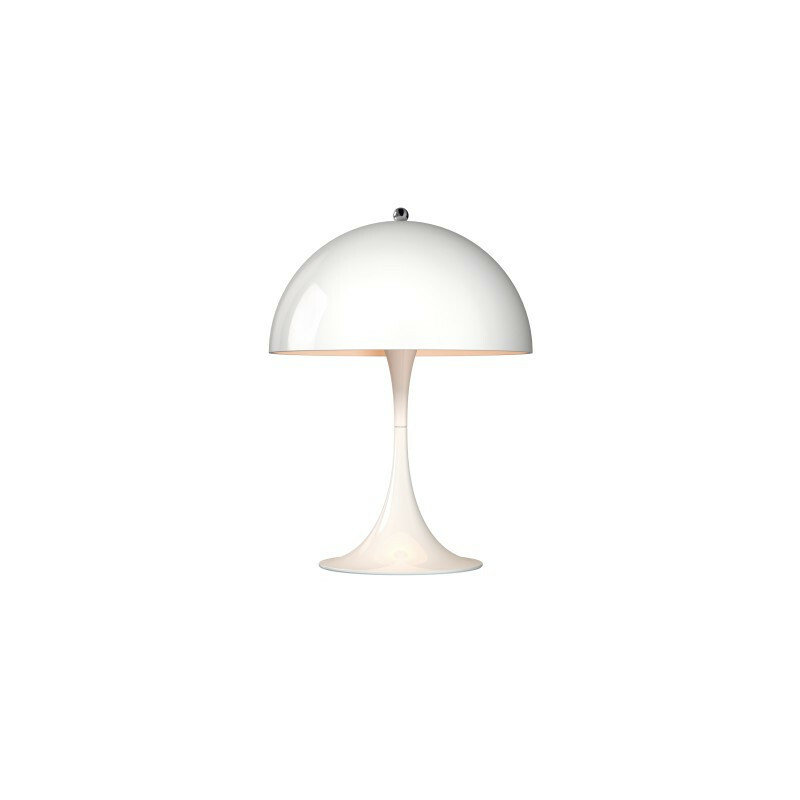 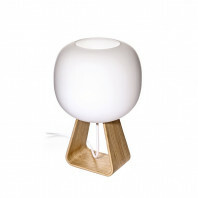 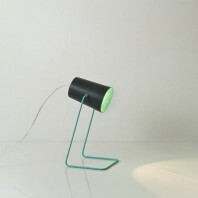 The mini table lamp uses a shade made of vacuum formed opal acrylic or another choice of deep drawn steel. 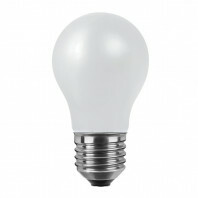 The base of the product is made purely of aluminium. 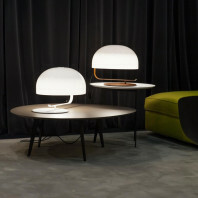 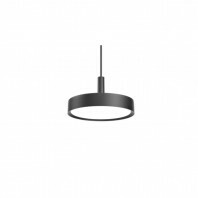 Materiaal Shade: Vacuum formed opal acrylic or deep drawn steel. 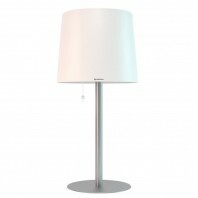 Base: Aluminium.